Acronyms and abbreviations are common place, indeed, many of us use them on a daily basis when we are texting! However, when you are looking for professionals to look at areas that require remedial work within your property it’s important to make sure that the person carrying out a survey or undertaking the work is the right person for the job. One way of doing this is to look at the initials they are using after their name and demystify them so that you know what they really mean. CSRT stands for Certificated Surveyor in Remedial Treatments. This is a nationally recognised professional qualification awarded by the Property Care Association (PCA) for surveyors in the remedial property industry. Three components make up the qualification; Damp, Legal and Health and Safety Issues and Damp. Qualification is dependent on successful completion of training and examinations in all three areas. CSSW stands for Certified Surveyor in Structural Waterproofing. This is a nationally recognised professional qualification awarded by the Property Care Association (PCA) following training and successful completion of an examination. This qualification allows surveyors to diagnose problems and design solutions when water is entering structures below ground level. 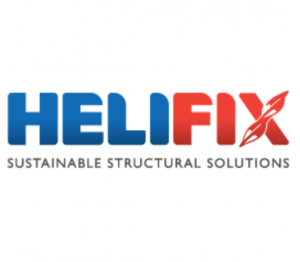 A Helifix Approved Surveyor has been trained and approved by Helifix to understand how the Helifix system works in relation to structural repairs and what types of systems should be used in different circumstances. Works are signed off by Helifix and where applicable 10 year Helifix warranties are available. This stands for Property Care Association Waterproof Design Specialist. Currently 2 of our surveyors are on this Register and have attained the CSSW qualification. There are further requirements such as evidence of a minimum of 5 years site experience. Please see our post See our post ‘What is a Waterproof Design Specialist’ for more information. The acronym PCAQT stands for Property Care Association Qualified Technician. Technicians who have this qualification have undertaken training by the Property Care Association (PCA) and passed an examination in Timber and Damp, Japanese Knotweed or Structural Waterproofing. 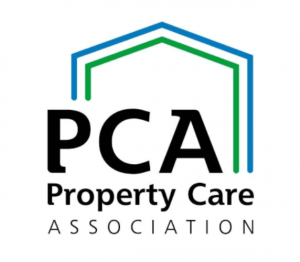 The Property Care Association (PCA) is a professional association for companies that specialise in damp, waterproofing, timber repairs, flood protection and invasive weeds etc. If a company states that it is a PCA member then it has satisfied stringent quality control processes put in place by the Property Care Association and is covered by the Government Trustmark scheme. The acronym ICIOB stands for Incorporate of the Chartered Institute of Building. Anyone who uses this designation has been a manager within the building industry for a significant amount of time and been able to demonstrate expertise in their field. SSSTS is the acronym for Site Supervisor Safety Training Scheme. The course covers legal and health and safety responsibilities which Supervisors require when controlling a site. IOSH is the Chartered body for Health and Safety professionals with the initials standing for Institute for Occupational Safety and Health. IOSH provide different types of accredited courses which are accredited by an examination at the end. Managers and Supervisors with Health and Safety responsibilities are likely to have undertaken the ‘Managing Safely’ course which covers health and safety legislation and requirements that they need to consider within their role. Red Cards can be Provisional, Apprentice, Trainee, Experienced Technical Supervisor or Manager, Experienced Worker cards and each will clearly state the status. Blue Cards show that someone is a Skilled Worker. Gold Cards show that someone has a Supervisory or Advanced Craft role. Black Cards indicate a Manager. Yellow Cards show that someone is a Construction Site Visitor. Silver Cards indicate that someone is either Academically Qualified, Professionally Qualified or has a Construction Related Occupation. A surveyor who has his B-PEC DV2010 has undertaken training in domestic ventilation with BPEC (British Plumbing Employees Council) and has passed an examination in domestic ventilation, airflow requirements and calculations, health and safety and installation, inspection, and commissioning. PASMA stands for the ‘Prefabricated Access Suppliers and Manufacturers Association’, which is the not-for-profit association for the mobile access tower industry. Someone who has their PASMA card has undertaken training by a PASMA accredited trainer in one of their listed subjects such as Working at Height.